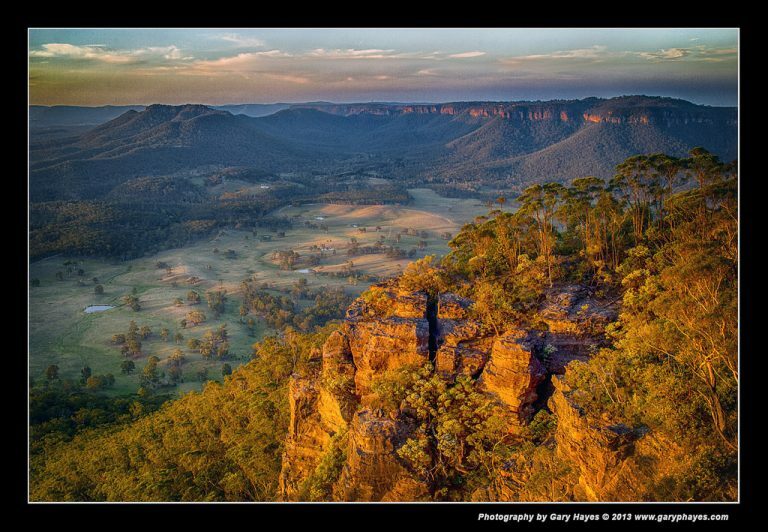 ABOUT: Mount Blackheath is a climbers dream and offers good valley and foreground sunset possibilities for photographers. The lookouts are best on the left of the official railed platforms as you can get the mount’s ridge in shot with a distant view of Mount Piddington and the Blackheath plateau in the distance. The gentle slopes of the Kanimbla below work great at first or last light. GETTING TO THE SPOT/S: Follow Mount Blackheath Road to the end, it feels like a long 30 min drive from Blackheath as it doubles back on itself. The car parking is obvious at the end. Walk to lookout/s about 2-4 mins. Would like to say thank you so much for the Blue Mountains guide, used this yesterday and the information is invaluable. Thanks v much Trent – you had some good sunset light yesterday too!